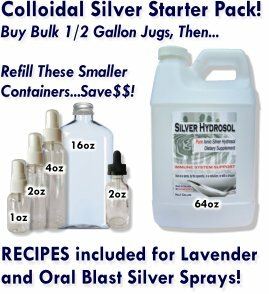 Lavender Ionic Silver Hydrosol Sprays and Gels! 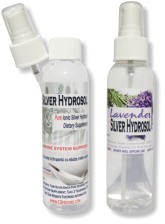 Pure Lavender + Pure Ionic Silver Hydrosol = Pure Bliss! NEW - Lower Prices and More Buy 3, Get 1 Free Specials! 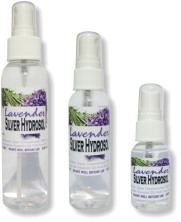 NEW - 2oz Lavender Silver Hydrosol Topical Gel! Our Lavender Ionic Silver Hydrosol Spray is a potent combination of TWO powerful pathogen fighters, Lavender essential oil and silver ions! We know of no other product on the market like this! We all know how wonderful Lavender smells and makes us feel. It's true Aromatherapy! Our sense of smell has a direct connection to our brains, meaning we can directly influence our state of being simply by smelling. 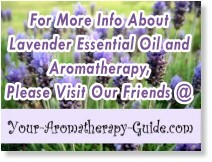 If you're not familiar with Aromatherapy, well maybe you actually are! You know the immediate happiness felt when the aroma of baking cookies or bread hits you? That's the same immediate, unfiltered trigger found in Essential Oils. Lavender triggers relaxation, but also invigorates! It's relieves that somber state of mind or that restlessness at night and so much more! Lavender is not just a beautiful smell, it's therapy! It's a true gift of Nature! If you've found your way to our site, you're well aware of the antibiotic properties of Ionic Silver Hydrosol! But did you know that Lavender is also an antibiotic too? Ionic Silver Hydrosol is a powerful bacteria fighter on it's own, and pure Lavender Essential Oil takes it to the next level! While you're immensely enjoying the benefits of breathing in deep Pure Lavender Essential Oil, here's a list of all the other benefits of Lavender! Disinfectant, Deodorant, and Aromatherapy in one!! Great for bathrooms or kitchens, anywhere around the house where you need fresh air or to freshen up! Use it on minor cuts and scrapes, deodorize your dog while repelling fleas, or sanitize your hands! Disinfectant, Deodorant, and Aromatherapy in one!! Super easy to carry in a purse or pocket! Take it on the road! Travel a lot? Get rid of that musty smell in hotel rooms, spray sheets to repel bugs. Disinfectant, Deodorant, and Aromatherapy in one!! Use this as a trial size, keep in a pocket or share with a friend. 4oz, 2oz, and 1oz Combo Pack! Keep one in the home, one in the purse, and one in the pocket! Buy 3 Combos, Get 1 FREE! Save 25%! 10% discount on this great combo! This includes our Silver Hydrosol Dietary Supplement complete with a fine mist sprayer in case you want to spray abrasions, cuts, etc... Click here to go to our ordering page, featuring more Silver Hydrosol products! This topical gel is packed full of antibiotic power using a combination of essential oils, pure ionic silver hydrosol and micro-silver. Non-greasy. Also contains Carbomer creating a tacky gel that stays put. Buy 3 Combo, Get 1 FREE! Save 25%!